Peter Franklin was a superb student of Comparative Literature who did an MA and had started his PhD at the University of Toronto when he was diagnosed with cancer. Peter was much loved and respected by his fellow students and by professors for his intelligence and his quiet, caring self. 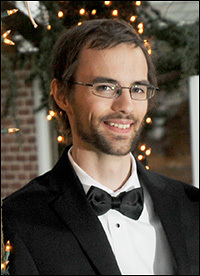 Peter died in Atlanta in August 2014 at age 27. In his honour the Centre has created a memorial fellowship to be awarded to an international student studying Comparative Literature at Toronto. 2. By calling Jacob Wesolowski at 416-978-2722 and providing credit card information.